On a hot day last month, my husband and I happened upon a hidden oasis in Daegu, Korea: the Daegu Arboretum. We strolled through the park, which featured 230,000 square meters of gardens and greenhouses, including a cactus greenhouse, a bog garden, an herb garden and a picnic area. It was bustling with children and adults alike, all enjoying the space and their ability to connect more closely with nature. 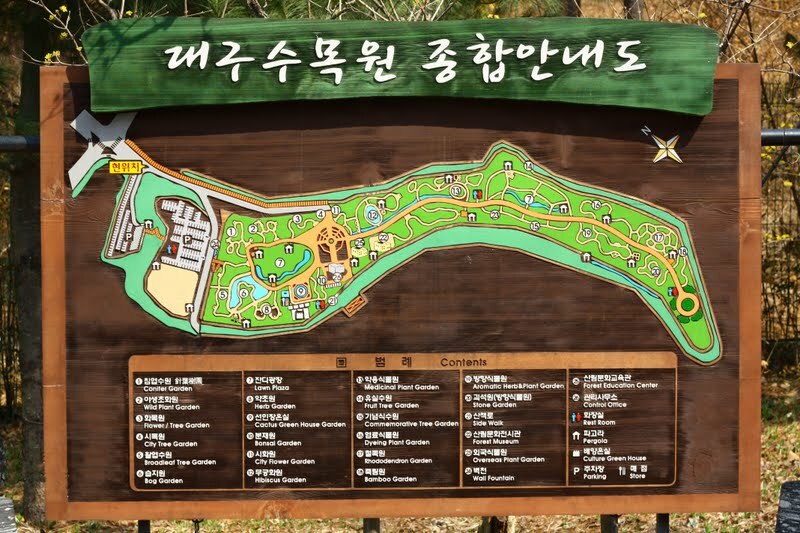 Map of Daegu Arboretum. Photo by Jace Lee. ﻿The arboretum, while a splendid refuge for city residents, also holds a deeper significance: the park is built on a large landfill that was in operation from 1986-1990. It was converted into civic space by city government. This project, which opened in 2002, is part of a growing trend in cities across the world. You don’t have to go far from Daegu to see other successful landfill retrofits. Once known for its flowers and as a site to grow vegetables, the small island of Najido in the Han River near Seoul became a landfill site in the 1970s. As the repository for the trash coming from a growing city, the site quickly expanded into a mountain of trash said to be 34 times the size of the Pyramids of Giza. After the landfill was closed in 1993, the City of Seoul installed 100 methane gas extraction wells to reduce greenhouse gas emissions and help power the city. The 2002 World Cup brought renewed interest in redesigning Najido into an eco-friendly island. 2.8 million Square meters of former landfill were transformed into five differently themed parks. Today, the successful World Cup Park sees 9.8 million visitors a year. In Hangzhou China, a company is turning trash into cash by converting an old landfill into a tourist attraction. Since it opened last year, over 10,000 visitors have taken a “trash tour” at the former landfill to see how methane gasses (which are produced by decaying garbage and contribute to climate change 20 times more than carbon dioxide) are being captured and burned to produce electricity. This methane capture process currently provides enough energy to power 8,000 local homes. Cities in Massachusetts, USA are taking a different approach to producing energy from landfill space by installing solar panels on top of capped (closed and covered) landfill sites. In Canton, city officials plan to install 24,000 solar panels which will generate up to 5.6 Megawatts of power by 2012 (the state’s goal is to produce 250 Megawatts of solar energy by 2017). The town of Greenfield is pursuing a 2 Megawatt landfill solar panel project, whose power will be enough to provide electricity for 40% of all the public buildings in the town, including schools and street lights. Freshkills with a view of the city. Flickr photo by H.L.I.T. 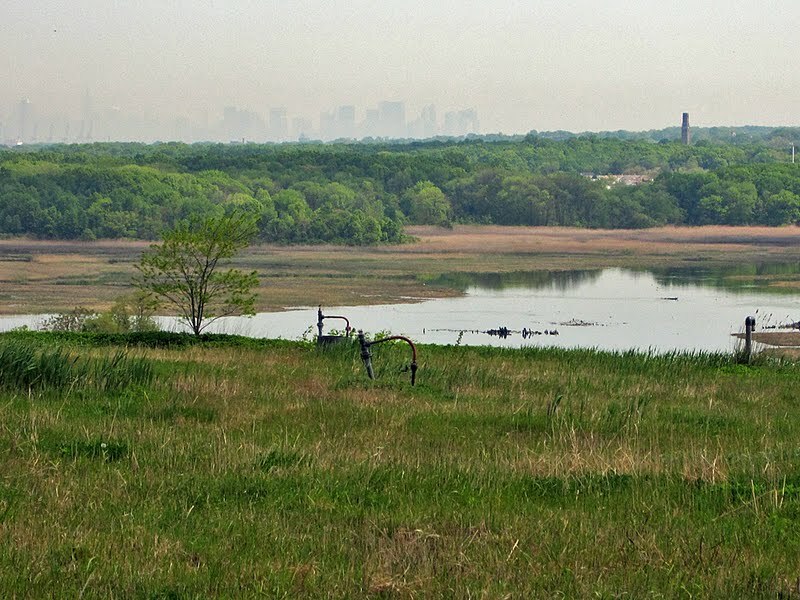 Even in the Big Apple (or just a stone’s throw away), New York City Mayor Michael Bloomberg is championing the conversion of the Freshkills landfill on Staten Island into a 2,200 acre park that will be three times the size of Central Park. 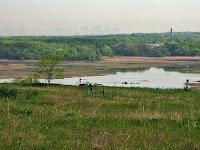 The Freshkills landfill opened in 1948. By 1955 it was the largest landfill in the world. At its peak operation, the Freshkills landfill took in 27,000 pounds of garbage per day from the growing city of New York. In an effort in progress since 1999 (before the last bag of garbage was even dumped) New York City officials have embarked on a planning and execution process that will continue for the next 30 years. Early phases of the park perimeter—sections near neighborhoods-- will be equipped with playgrounds and sports fields as early as 2011. When living and planning in urban environments, innovation and creativity are essential. Projects that turn trashed land into treasure may be difficult to envision at first, but their features greatly benefit environmental and social aspects of city life. This haiku was written about plans to create a 2,200 acre park over the Freshkills landfill in Staten Island, New York. It was published in the New York Times.